Novell men's diamond wedding band style ND16953 is 7mm wide containing 8 round diamonds for approximately 1/3 carat total weight. It also features black rhodium grooves. 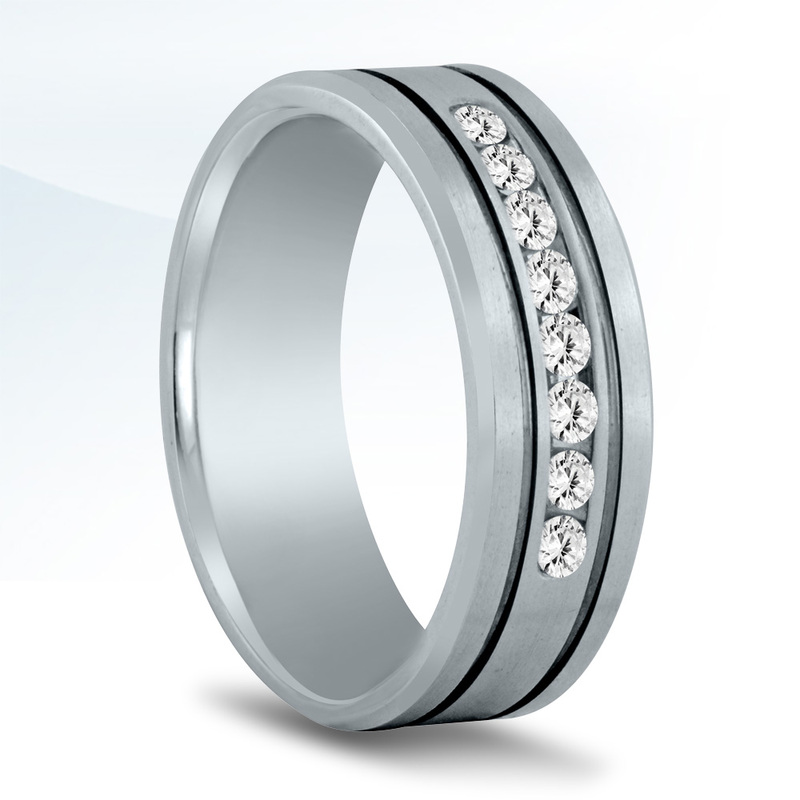 Please contact an authorized retailer to make this ring in a different width and/or diamond weight.